So the other day, I was looking at bathing suits for my kids at Target online. I put a few in my virtual cart, but then decided on buying from Lands End instead. Well, since that day, these bathing suits have been STALKING me via the web! I login to my email, and WHOA!! there they are in the side bar! Go to check Facebook, and BAM!! there they are in my news feed! Googling something for the 700th time that day, and BOOM!! those suits are staring right at me from the left side of the screen. It's equally terrifying and amazing all at the same time how a bathing suit can follow me around my digital world. Anyway, before I had to consider a restraining order against some nylon and Lycra, I used to think it was really cool how one day you would learn about something you hadn't known before and then all of a sudden you'd see it everywhere. Like when you learn a new word and then, like magic, that word is all around you! My students typically do 3-4 rounds of literature circles per year. Each round takes about two weeks. We tend to alternate with a few weeks of independent (always self-selected) reading, whole-class read alouds, and literature circles. I try to keep groups to four students. On occasion, I'll allow three or five, but I find that more than four means there is a "quiet" one in the group who lets everyone else do the talking, and with three there may not be enough conversation to sustain a meeting. I've acquired an INSANE amount of books over the years that I use for lit circles. Typically, I put about 6-8 titles out for a round of lit circles. About two weeks before we get started, I do some book talks, which are basically little commercials that I use to "sell" the novels. (PSA: this means that I've read every single book that I'm offering. Please, don't ever assign a book you haven't read yourself prior to assigning it. It can only lead to trouble!!) On choosing day, I let the kids do a "book tasting," where they get about five minutes to start reading each title. At the end of the tasting, they select their top three choices. Almost always, I can get kids into a group with one of their three choices. Once kids are in their groups, they create a reading schedule. During the two weeks, they will meet 4-5 times, so they need to break up their book into 4-5 sections. For each one of my classes, I usually have six literature circle groups going at once. Each day, three groups meet while the other three read and prep for their meeting the following day. Because I only have three groups meeting each day, I am able to sit in and observe all three groups for a bit (and since I've read each book myself, it's pretty easy to tell who has read and who has not!). I don't do role sheets anymore. When I first started, I did, but I found the kids tired of them quickly. Now, in addition to their reading, I have students do some type of literary analysis activity (these are a collection of my favorites that I've used through the years!). In each group, I give each student a number from 1-4 (they keep this number for the entire book). Every two days, I assign a different activity a number (so I may assign a characterization activity the number "1," and a mood/tone activity the number "2," and so on. Then, after two days and every group has gotten to meet, I change the activities.). The kid in the group with that number does that activity for the next meeting. (Does that make sense? I forgot to take a picture of my bulletin board where I keep these activities organized! All I do is staple four file folders to the board and label them with the numbers 1, 2, 3, and 4. Every two days, I put copies of a new activity in each folder. So, all the 1s in the group will grab their assignment from the "1" folder; all the 2s will take their assignment from the "2" folder; and so on.) By doing it this way, everyone is doing something different for each meeting... I find this really prevents boredom and keeps kids on their toes! Meetings consist of the kids sharing their work. This is usually enough to spark some good conversation. 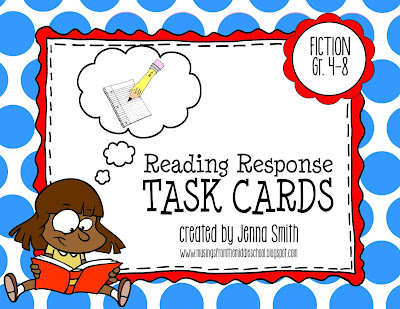 However, if, after sharing, kids are struggling to talk to each other, I'll give them a set of task cards, like these, to help ignite the conversation. I do collect their activities after each meeting and grade them. I give individual grades and not group grades. I try to give them no more than 2-3 class periods to prep their projects. Then, I allow one day for presentations. Agh! I'm sorry that I just dumped that all out there like that, but there was so much I wanted to say and I just felt list form would keep this from being a million words long!! I'm sure I didn't do a good enough job explaining, so please feel free to ask me questions about making literature circles work. And I am also sorry if this seemed like I was "plugging" my wares, but all three of the products that I mentioned came as a direct result from all the lit circle stuff I've accumulated over the years!! You still might be able to accommodate this. First, you could make sure that the lit circle books are AR books. Second, these lit circles are only 3-4 times a year. Their independent reading at other times is AR. 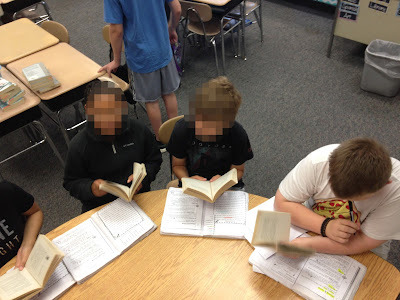 I have taught lit circles before where every student is reading a book of their choice. I give parameters of what it can be, but they get to choose. They could then do these same activities and talk about their book and compare to each others books. If you set the parameters so that they are all reading the same type of book (biographies, non-fiction about 'x' topic, etc) they can still have fantastic conversations about books. Do you group the kids by ability or heterogeneously once they make their choices? Great ideas, Jenna. 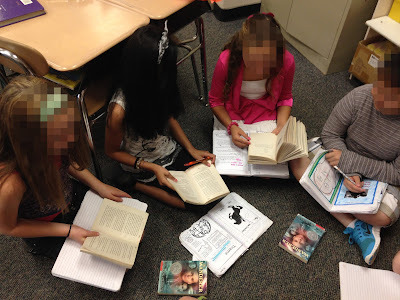 I LOVE literature circles, and it's fun to see how other teachers make them work. I do two very formal rounds with adults from the community (parents, my retired neighbors, retired teachers and principals) or campus (librarian, principal, aides) meeting with the kids. This sets a tone of importance, and students take the meetings seriously. Kids love knowing that they are being heard, and the adult is just another group member. I serve tea and cookies as well. You can find a lot of AR books through book orders. I've been collecting sets for years. Our librarian even purchases sets of novels with literature circles in mind. And you are absolutely correct about needing to read the novels beforehand. It makes all the difference. I prefer to base groups on reading levels for these two rounds. Thanks for sharing your ideas. Great food for thought!! I love that you do some rounds with adults! What a great idea :) Thanks for sharing! I love your ideas, especially about the file folder rotation! On lit circle days, how much time do you allot? How long are your class periods? Thanks so much! Great ideas! Typically, how many pages are the lit circle books you offer? In the past I've found that I need 14-15 days of reading to complete a lit circle unit with 7th gr students reading between 25-40 pages per day depending on their level. I love the idea of wrapping it up in 2 weeks to keep things fresh. The books I use tend to be 250-350 pages. Students get a lot of class time to read and prep for their meeting (typically, they will get a whole 50-minute period). If they do not finish, they can take the books home to finish for homework. (I really do not give much homework at all, so it's not like they will have lots of other work to if they need to finish at home.) Hope that helps! As a follow up to my earlier question, could I still do Literature Circles even though we are an AR school? I'm in the process of rebuilding my classroom library, and should have well over 100 books by the time we start up again in August. Another teacher who teaches in my department is also interested in Lit. Circles, too, so I'm going to direct her to your blog. Any suggestions for doing Lit. Circles despite having AR? Thanks for all you do, Jenna! 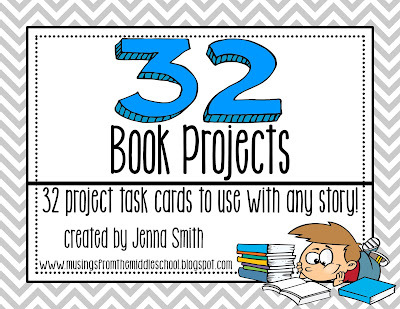 I'm sure you can still do them along with AR... you would have to form your groups around students on the same level willing to read the same book. Does your library offer multiple copies of the same book? Our library doesn't but I do know that we have extra novels in storage. I just don't know what the titles are. My school used to be an AR affiliated school. One thing I did was make sure it is an AR book using arbookfind.com. After that, I read the books making sure the content was appropriate. Next, I found multiple copies of the same book either from our public library, school library, AEA media library or a combination. Literature Circles can work with any book. It's the skills they are learning more rather than teaching a specific book. My school does AR and I do literature circles as well. For me it's kind of a work in progress to figure out what works best since this is my first year playing with them but I tend to pick books that will work for a lot of students. Most kids have a range of books they can select so if I pick a book that's toward the bottom of one student's range and toward the top of another's they can both read it. Also, I've found when I do book tastings (I call them book passes) in class the students tend to naturally gravitate toward books that are in their reading level. I also do lit circles, but have called them "book clubs". I also do a short sell of each book at the beginning and let students pick their favorite for the clubs. I have had 6 members in each group and I can attest that is too many. I agree that 4 would be a better number. I had chosen 6 because I had those handy Scholastic sets of 6 books. Next year I will make smaller groups. At the end of the book, each group has to present a 'commercial' to sell their book to the rest of the class. This is how I get the students excited to read the next book. They are usually fighting over the 'best' books. Thanks for sharing! I will be incorporating some of your ideas next year. I've had kids so commercials in the past! Love that idea... haven't done it in a while though... putting back on the agenda for next year!! Thanks, Beckie! I'm THRILLED that I found your blog post. I've started using Literature Circles with my 3rd graders. I like the way your approach really mixes things up. Thanks so much for sharing. Wow, Jenna. I found you through Pintrest. You could be describing my classroom when I taught middle school. I will share your work with others! I would love a suggested lis5 as well! I started reading this post to compare how I do lit circles in my classroom to someone else, and what I found is we do almost the EXACT same process!! 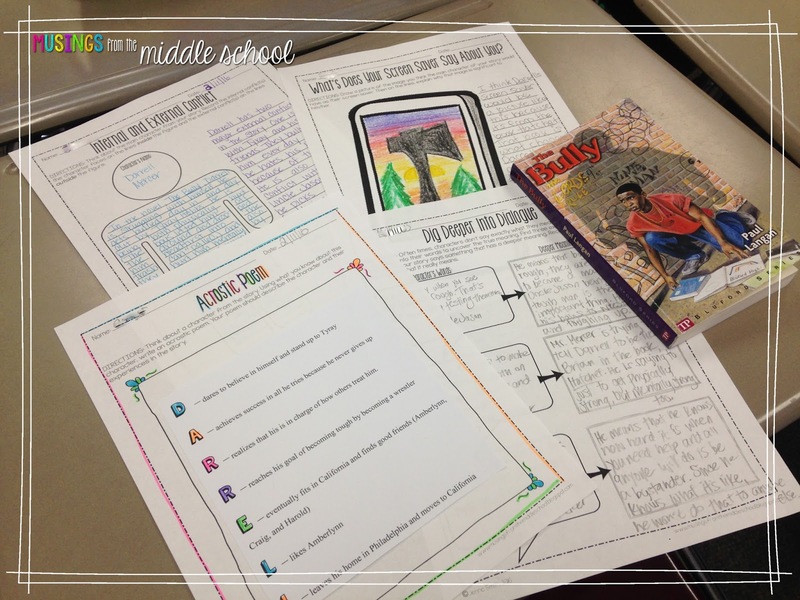 It was also cool to see the activities that you use for your literary analysis! It gave me some new ideas to implement this fall. It was also nice to know other teachers use this same process and have found success! Helps me to know I am doing good things in my classroom! I really enjoyed your post. I have one question about how you assess the Lit Circle. Do you have a different set of criteria for each assignment or the same criteria for all assignments? Do you use a rubric? Do they get an overall grade at the end of the cycle? Thanks! Same criteria for each! I give each kid a grade. I used to try to grade the group, but found it caused a lot of problems if someone forgot or was slacking off. Hello! I absolutely love the idea of literature circles! I can't wait to do a few with my class! I teach resource Language Arts in 6th grade with students who perform significantly below reading level and have IEP goals specific to written expression. While the majority of my class focuses on the writing standards, I feel introducing literature would work as a spring board into writing responses to reading. I will most likely group my students in groups of 3 due to the small size of my class. Guided reading may also be ideal for my students in certain scenarios. Any tips for using smaller groups? While you work with the literature circles, are the other students reading their book as a group? What assignments do you have for students who are not "meeting" that day? This year I did literature circles but I introduced the books in a different fashion. I copied *gasp* the first chapter of each book. Then we went through annotated and compared the different chapters and all the aspects of them. Then the students chose their books after a few weeks. We also connected each chapter with a nonfiction reading and a poem. It took some serious grade level planning but it turned out awesome!!!! Love that idea! Stealing for next year...not enough time left this year to plan it, but now I have a summer project! Thank you for sharing! What do you do with students who are absent? Are they allowed to participate in discussion when they haven't read the text? Let's see... my kids always love: Bud, Not Buddy; Freak the Mighty; Maniac Magee; Wonder; Al Capone Does My Shirts; Among the Hidden; Ungifted; The Bully (from the Bluford Series); Running Out of Time; The Hunger Games; Walk Two Moons; The Watson's Go to Birmingham... those are all favorites! What do you do for students who are frequently absent? I am planning on trying this out for the first time soon. My question is about the literary analysis worksheets. Do they only discuss after all four members have completed the same worksheet, or do have four different worksheets for each topic? I plan on buying the packet once I am closer to that unit. Thanks so much for all your help! 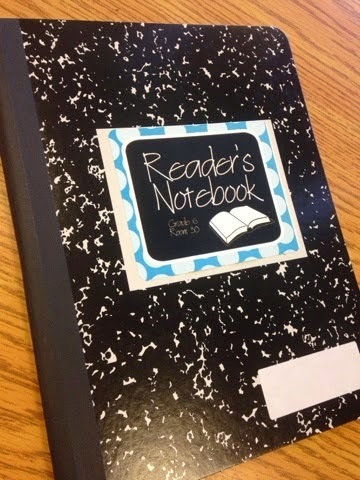 Do your students do their work in their interactive notebooks? Wait...maybe I am misunderstanding. They finish the entire novel in 2 weeks while they are discussing every 1-2 days? So that means they have one maybe 2 days to read a fifth of the book AND do an activity on it? Have you pre-taught these concepts and so therefore they are just practice/review of skills? I can't picture that getting done even in a block schedule. I am trying to figure out how to incorporate this next year...we are moving to a 43 minute period and putting reading and writing together in that 43 minutes. I do NOT want to give up literature circles! Do you ever have books that are super popular after the tastings and end up with multiple groups reading the same book? Or do you very strictly limit one group per book? Also, major props for recognizing that some students have more than just studenting on their plate. The world needs more teachers like you. I only have 6-7 copies of each title, so I only have one group per book. If a book seems really popular then I just offer it again the next time around. I teach on a block schedule, meaning each class is 75 minutes every other day. How would you suggest doing literature circles? How do you test the students on these books? Are you making the students (each literature circle) take different assessments? Or...just how do you assess this? I've done Lit Circles in 2nd grade for 4 years now, and I love them! We spend a lot of time in the beginning of the year learning how to get along, how to rotate to their Lit Circle spots, how each job is done etc... I have been using rotating job cards, which haven't been boring yet, but I think the age of the student makes a HUGE difference. I've tried to help other teachers implement this in their rooms and I've seen two consistent mistakes which can lead to a failing to function. 1. Teachers fail to make it their own. When a teacher tries to teach the someone else teaches, it typically won't feel comfortable and will have too many things that never make sense. Take all of these ideas and transform it into something that flows for you! 2. Prep time. Teachers need to relax and be ok with the fact that it will likely take 4 weeks of teaching procedures for this concept before you even get to begin reading, and that's ok! Too often we jump right in because we as teachers are geeked about it, but the students still don't really understand what you want it to look like and why they are doing it in the first place. I love your blog and I actually plan to use some of your materials in my new position as an Elementary LD Special Ed teacher. I think these are great conversational pieces that I could lead with students through book walks. I'm eager to differentiate the materials for the many levels I'll be working with. Thank you! 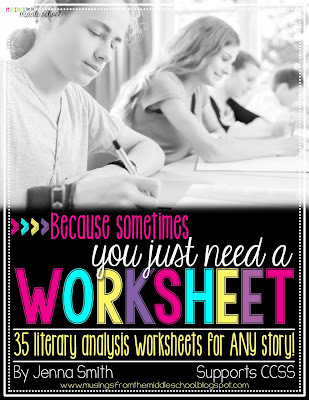 Did you publish your "Because Sometimes You Just Need a Worksheet" in workbook form? I purchased it on TPT, and then a coworker and I were talking and she showed me a book that she just bought from Amazon...and it IS the same, exact material. Hi! No, it should NOT be on Amazon. I'm sorry to ask you to do this, but could you ask your co-worker to give you the link they used to purchase it? Sometimes people pirate our work from TpT and we need to shut it down. When you said, "In each group, I give each student a number from 1-4" -- where do you get the activities to put in each of those folders? What a great idea to do a "book tasting" session so students can get a sense of which one(s) they prefer! I gleaned lots of ideas from your blog...THANK YOU!! This is such an awesome and easy way to conduct Literature Circles! I love how simple the steps are and that everyone gets a chance to speak/complete an activity. When the kiddos are finishing their activities, do they have time to share what they learned with their group to spark further discussion?